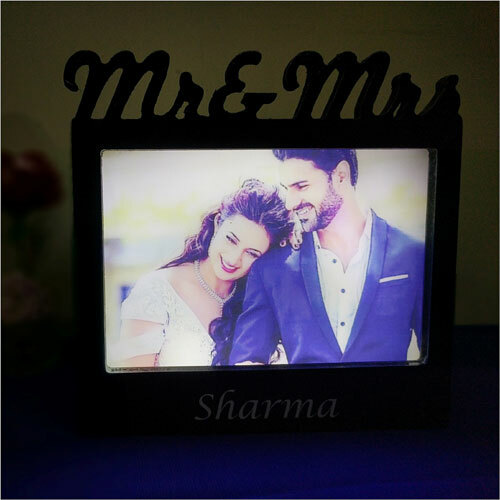 The unique design on this personalised product combines the rich look of a traditional wood photo frame and the mesmerizing effect of a personalized lamp. 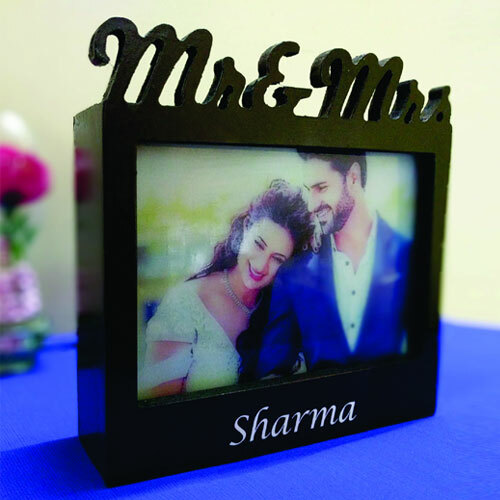 With the cutout above and surname below stating the new name for the couple, it is an ideal wedding and anniversary gift. 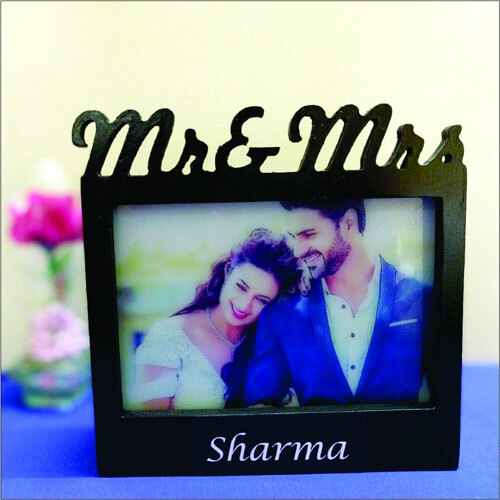 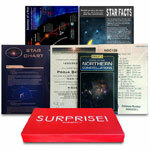 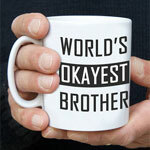 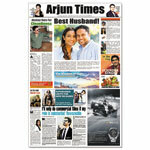 Surname is printed in white on black background sticker sheet which is pasted to the frame.